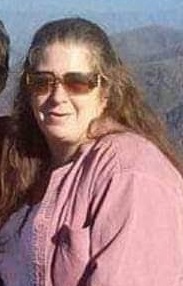 Lorie A. Wilson- Age 51, White Bluff, November 22, 2018. She is preceded in death by her birth father, Buster Condra. Survived by her husband, Jeff Wilson; sons, Bradley Wilson and Anthony Wilson; granddaughter, Hailey Alyssa Wilson; parents, Patty and Rocky Walling; sister, Stacy De Leon; grandmother, Dorothy Martin; and many other family members. Visitation will be from 2-3 p.m. on Monday, December 3, 2018 at Harpeth Hills Funeral Home. A graveside service will be at 3 p.m. on Monday at Harpeth Hills Memory Gardens. Sending love and prayers at this time may god bless you guys. O my dear friend my heart is so heavy with you leaving us . You were such a wonderful lady with a heart as big as I’ve ever seen . I just don’t have the words to express the love I have for you . I’m going to miss your beautiful smile and kind words . Always loved crossing paths with you and I’m so lost knowing that our paths will never cross again in this earth.ive been non stop crying mourning your leaving us . God needed his earthly angel to come home and tend to his heavenly tasks. God’s speed my dear friend untill we meet in that mansion in the sky . The tears just won’t stop …… With all my love Roger. Live life to its fullest, breathe as if it’s your last breathe, smile to encourage those that have not yet learned the sight, kiss as thou it’s your first and last. Accept your heart and understand you do make the difference that blessed our nest. I’m sure I bungled that up a bit, geez I wish we wrote it down. We never could agree on a song but I guess we were both stubborn to a point. It is very sad but in her memory I will accept that she always wanted friendship and love, as it does rule all. Prayers and I’m very grateful that she was a part of my life. I was deeply saddened to hear of this today. Patty and Stacy you are both in my thoughts and prayers.Lorie always came into WalMart with a smile on her face! I will miss that smile! Oh my.i am so very sorry for the loss of this wonderful ole friend of ours.i pray not for all be and the boys. Jr and I loved all y’all dearly.